This petition has been created by Jade M. and may not represent the views of the Avaaz community. The Kenyan Constitution 2010 Article 26 (4) reads as follows:_ (4) Abortion is not permitted unless, in the opinion of a trained health professional, there is need for emergency treatment, or the life or health of the mother is in danger, or if permitted by any other written law. The Constitution is clear; abortion is legal in certain circumstances. The Constitution goes ahead to state the grounds for which abortion is legal, and this include when women need emergency treatment, or if their life or health in danger. It is on this grounds that Lady Justice Njoki Ndungu made the call to Judges to clarify and develop the law on abortion. While the Constitution does not define health, The World Health Organisation defines health as the complete physical, mental, and social well‐being and not merely the absence of disease or infirmity. Pregnancy often aggravates existing health conditions and in cases where a woman is HIV +ve and with very low immunity (CD4 count) or has high blood pressure or any other conditions like this, pregnancy can pose a great danger to her life and health. Kenyan law should be clear to make provisions to save the life of the mother in such circumstances. In the absence of clear laws and guidelines for provisions of health services, legal health providers face harassments from law enforcement agents even when they are providing services according to the law. Quarks thrive and the number of women and girls who die in their hands rise. It is the Duty of the Judiciary to uphold the Constitution of Kenya and to clarify the law. You Sir, in good conscience, cannot stand by and allow this injustice to continue. 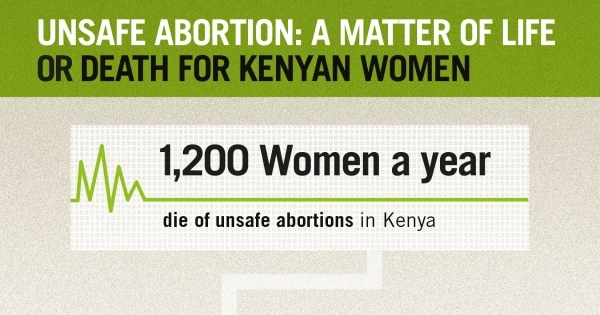 We as a society must make the decision that women’s lives matter, that their lives are worth saving and clarify laws that reduce unnecessary maternal deaths due to unsafe abortion.